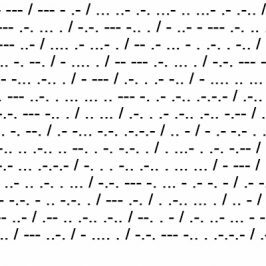 Morse Code is a method of transmitting information through a series of combinations of dots and dashes (or dits and dahs) essentially through tones, light or clicks. 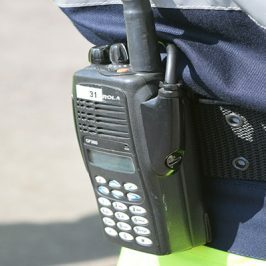 A receiver skilled in decoding the Code understands the transmitted message without any need for any specialised equipment. Each letter of the alphabet is represented by a unique series of dots and dashes. Each dash is three times the duration of a dot. Each letter of a word is separated by the duration of one dot. Each word is separated by the duration of one dash. It is one of the simplest yet versatile methods of communication since it can be transmitted and received through improvised resources. Unfortunately due to increase in technology, Morse Code is becoming less relevant. However, in situations such as those found during disasters and natural calamities, when infrastructure is destroyed, knowledge of the Morse Code comes handy and is in fact still used when there is no other means of communication. Indeed, it should be an integral part of school curriculum to train children to become less dependent on gadgetry. Transmitting or receiving messages in Morse Code requires no technology, electricity or cell phone towers to operate, is recognised globally, and is indispensable during disasters and natural calamities, other survival situations, hostage situations, anywhere. In fact, you could send out a message just by blinking your eyes. Indispensable if you are in a hostage situation. In case of a natural disaster when cell phone towers have toppled over, knowing the Morse Code can be invaluable for communications. Learning the Morse Code it is as easy as ABC ... quite literally. But learn the Code for SOS first. Even if the recipient of your message is not conversant with Morse Code, he or she will know that a message is being sent, and help will be on its way. Learning the Morse Code is quite simple and requires practice for just about 15 minutes a day … for a couple of weeks or so. First, try and learn the signs for each character as best as you can. Don’t worry if you get them wrong ... you will. With practice, you will become better. Use the chart alongside to practice. Take a pencil and have a friend call out the signs. When you hear a dot, go down and left. When you hear a dash, go down and right. Remember the spacing between letters and words. After identifying each letter, start again. It is actually easier than it sounds and requires just a bit of perseverance and practice. The best method is to start with just two characters. Spend five minutes mastering these two characters and then add a third character. And so on till you know the entire Code. And do this at normal speed. The tendency is to start at a slow speed and then progress to higher speeds with increasing proficiency. But when you are learning the Code, one character at a time, normal speed is preferred. Speed is measured either in words per minute (WPM) or characters per minute (CPM). The current record for receiving a message is 75.2 wpm and for transmitting is 35 wpm. If one can reach around 15 wpm, that is adequate for most purposes. 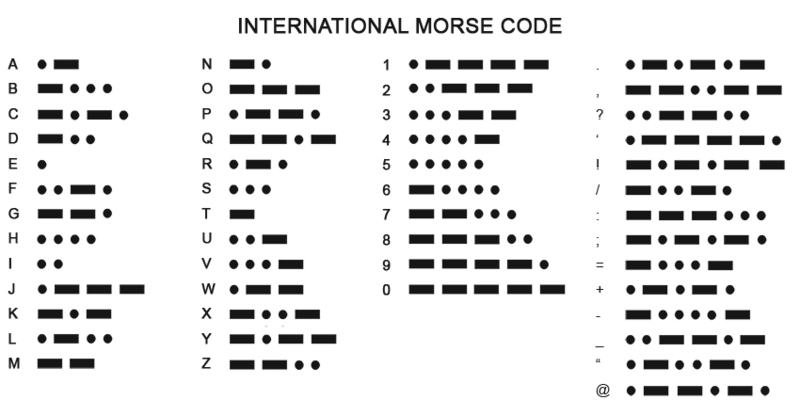 Learn the Morse Code - coding and decoding. You never know when it can come in handy. 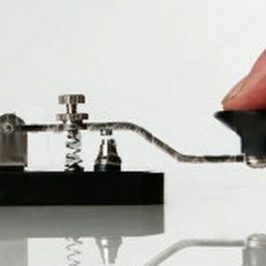 There are quite a few good resources available over the internet where you could learn Morse Code online. And quite a few free Apps which you could download on your smart phone and practice pretty much when you find yourself with a few minutes of spare time. 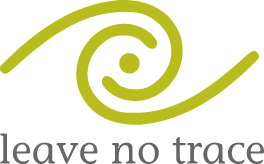 "Welcome to OTA Survival School and the Morse Code tutorial. By the time you have mastered coding and decoding the Morse Code, you will be able to read this message like a professional. Learning the Morse Code is really as simple as learning ABC. It takes a few minutes of diligence every day over a few weeks. Needless to say, it also requires constant and continuous practice or else it is likely that you will get rusty and forget much of the Code. All the best."